Whether you’re moving across country, storing inventory for a business, or just trying to downsize at home, self-storage is a great way to keep your valuables in a safe place. To keep your collectibles and fragile items in top condition, it’s important to follow a few guidelines to keep your items protected while in a storage facility. 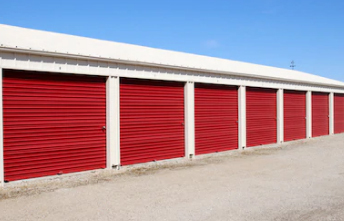 Many collectors and antique dealers use self-storage spaces to securely store items like baseball cards, coin collections, and rare artwork. Storing these valuable items must be done with care and it’s important to properly pack them to ensure your investment is protected while in storage. For storing paper items like collectable cards, old photos, or historical documents, always place these items in airtight packaging or containers that minimize their exposure to ambient air. Self-storage units are generally shielded from UV rays that damage or discolor paper, but it’s always a good idea to store paper items in UV-resistant sleeves for added peace of mind. When it comes to storing coins, in addition to special coin cases, these items should also be packed in a specific way. Minimize shifting by padding your storage boxes with packing peanuts and wrap coin cases in bubble wrap. Following these steps will ensure that your coins do not get mixed up. For easier identification, try labeling the outer bubble wrap so it’s easier to access the exact coins you’re looking for when you enter your self-storage unit. Keeping your valuables secure is one of the biggest concerns when it’s time to move items into storage. Therefore, carefully packing items with the right supplies is essential. Whether you’re gearing up for a cross-country relocation or you just need some extra space, using the right materials prevent and minimize damage from transport, handling, and arranging boxes in your storage unit. Items made of breakable materials such crystal, ceramic, or glass should be carefully wrapped in bubble wrap secured with tape. When placing breakable items into boxes, strategically place each item into the box like a puzzle, leaving very little space surrounding the items. By doing so, you’ll avoid shifting of fragile items like glassware, crystal, glass photo frames, and fragile decorative items. Place heavier items on the bottom of the box and be sure that you indicate that the box contains fragile items that must be handled with care. When it’s time to move in Texas, Lone Star Storage Center is the go-to storage solution. With an extraordinary range of all the storage and packing supplies you need, Lone Star Storage Center makes sure your self-storage experience is as seamless as possible. All of our conveniently located Texas storage facilities carry everything you need to safely store your belongings. From bubble wrap to packing tape to boxes in various sizes, Lone Star Storage Centers are there help you every step of the way. 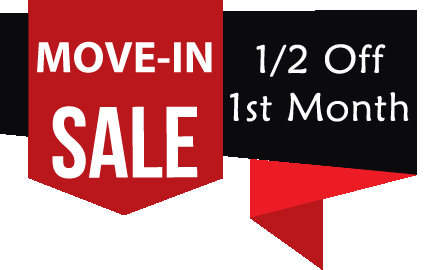 We offer same-day move ins, provide a lock at move in, and a free trailer for new move-ins and we’re easily accessible to the greater Austin, TX, area.